Ch.17: Woher kommst du? : Where are you from? 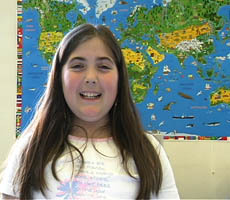 Hanife is from Turkey - she shows us on the map. 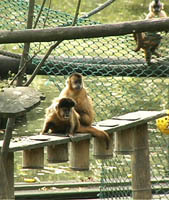 We visit the zoo to see where the animals come from. When your class meet real German children, they'll need to be able to say where they're from. This section introduces country names, languages and continents. 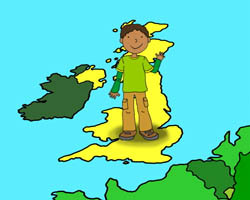 Pupils learn how to say where they're from, which language/s they speak, and ask someone else where they're from. At the zoo we see different animals and find out which continent they're from. 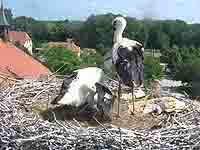 Are the storks nesting in Freiburg? Have a look on this webcam!